Who doesn’t love a good crepe? I know I do!!! But what about waffles? 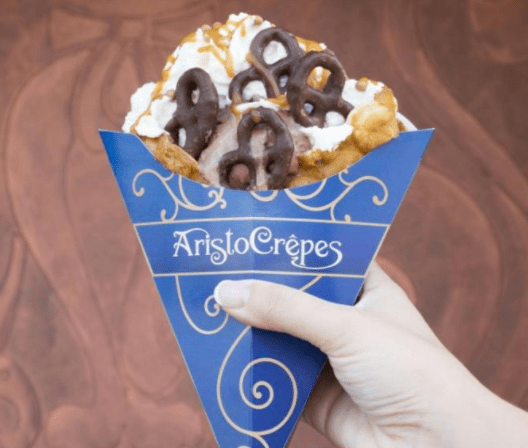 The gang from AristoCrepes in Disney Springs has an all-new Chocolate Salted Caramel Bubble Waffle. As with all of their sweet treats make sure to drop by AristoCrepes hungry as you will walk away pretty full!